If you thought Rymdkapsel was a pretty tough and bizarre title to pronounce, how about this one: QbQbQb. Well, no need to try so hard! It’s simply called Cube Cube Cube! And its’ a minimalistic musical game from Indie game developer Rezoner. And its out now on the Play Store for a pretty stiff price tag of $3.99. 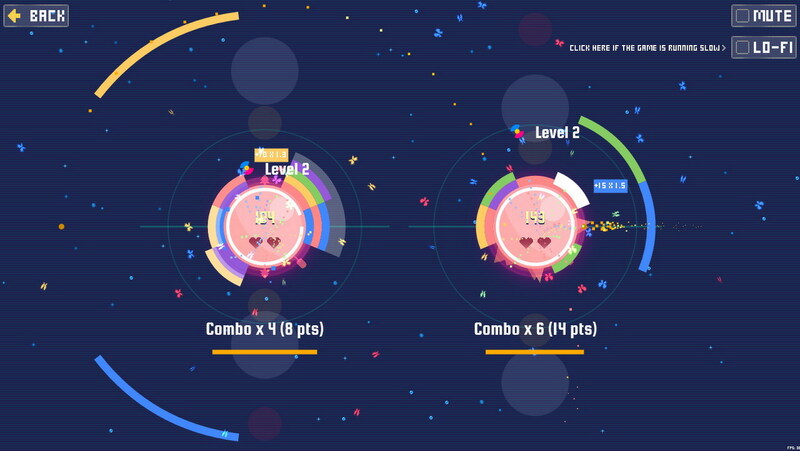 Initially developed for the gaming jam Ludum Dare, QbQbQb received plenty of good reviews for its entrancing music and innovative game play idea. Polish developer Rezoner describes the game as a bit of a mix between Tetris, Gyro or Klax and can be played solo or in a two player mode. 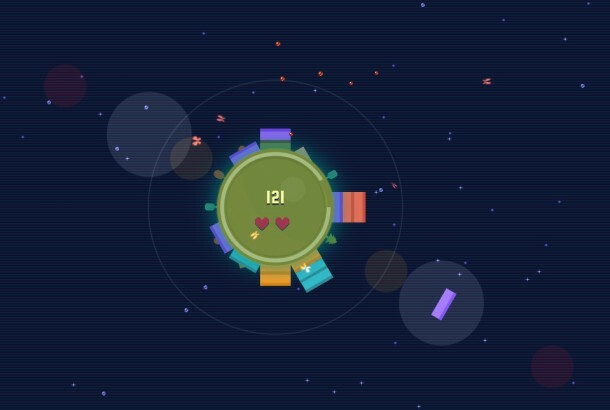 In QbQbQb players will be required to match three blocks of the same color around a revolving planet. The game is lost if a player stacks more than six colors but moves to the next planet when the score touches 1000. The color blocks, which are double banded drop down towards the planet, slowly at first, but pick up pace after every 100 points. The game’s visuals are constantly evolving to provide a further challenge to players. There are over 45 achievements to unlock as players traverse through the six different planets in their match-making quest. Rezoner has done all the coding, graphics and music for QbQbQb himself, so if you want to give him a little boost, you can download QbQbQb from the Play Store. But before that, check out the game demo here.